‘Novel Knits, British Literature in Stitches’ was my first book, a collection of 15 garment and accessory projects. The designs are themed around the works of three of Britain’s most famous authors, Jane Austen, JRR Tolkien, and JK Rowling. The patterns cater to a broad range of knitting abilities, from beginner level to advanced. There is something here for every knitter! Full written instructions are given for everything except colourwork elements, which are charted instead. Though all lace and cable elements are fully written out, I have also provided supplementary charts for these. The ‘techniques’ section of the book provides written step by step directions for the advanced knitting skills required for some of the projects. Gorgeous photography of the projects in the book is accompanied by exquisite illustrations from professional artist and illustrator Steve Plummer. His beautiful line drawings perfectly capture the essence of the novels which inspired Ann’s designs. 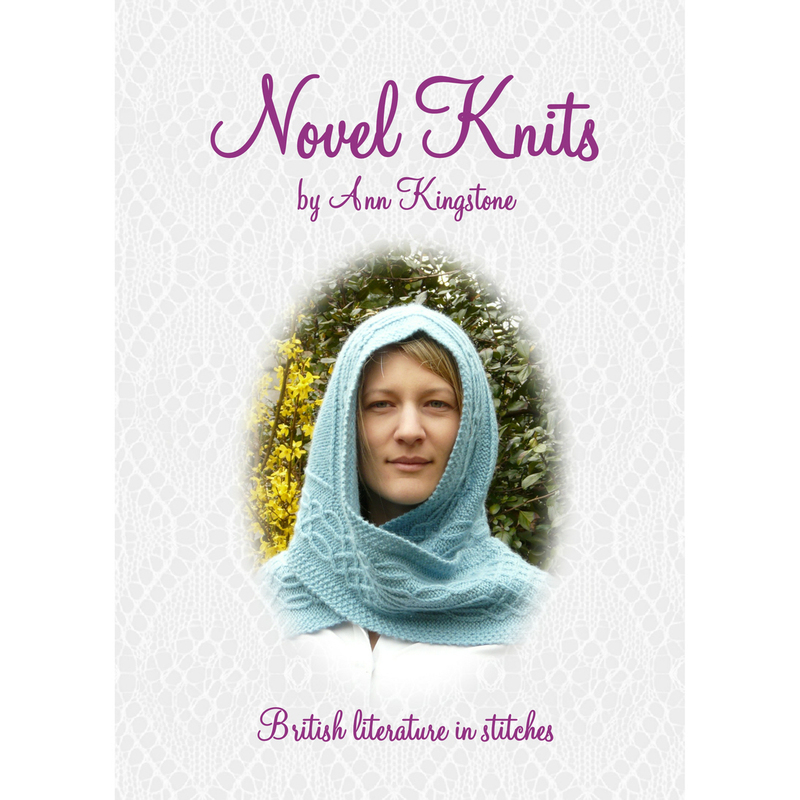 Novel Knits is sure to inspire you too to take up your needles and express your literary love in stitches. Though Novel Knits was originally published in print, it is currently only available in digital format.